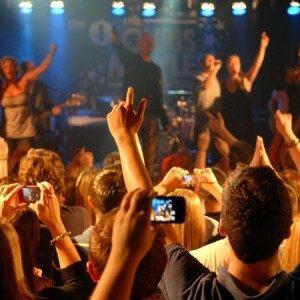 Celebrity/High Profile Events - Live the dream with Rockaoke! How do you follow the biggest events of the year? 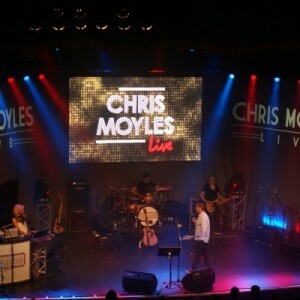 By jumping on-stage and rocking out with your very own live band! Consumer Electronic Awards 2009 aftershow at The Dorchester. 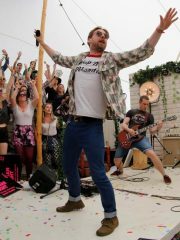 The band were also asked by Mercury Records to rock a launch party for BON JOVI’s Greatest Hits CD @ CARGO, Shoreditch. 15 Bon Jovi classics were added to the set list, the band became BON JOVI-OKE for one night only and made some die-hard BON JOVI fans’ dreams come true. 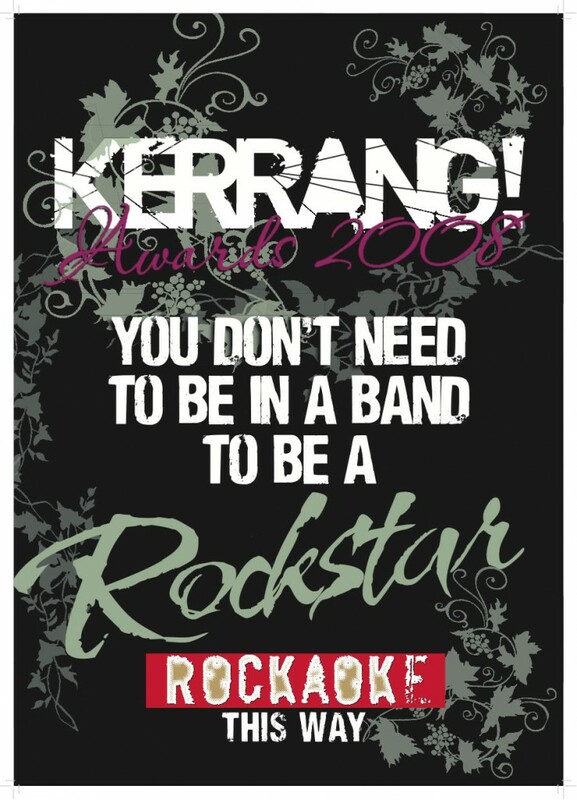 ROCKAOKE gives even the biggest superstars that unique opportunity to fulfil their rock star dreams! 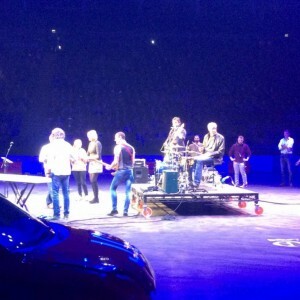 ROCKAOKE were regulars at the TOP GEAR LIVE aftershow party – a very private affair for the presenters and their inner sanctum – and more recently were invited to play onstage during the first and last ever CLARKSON, HAMMOND AND MAY live show. Sorry – no photos or videos. You will have to rely on your imagination to visualise Jeremy Clarkson blasting out searing versions of ALL RIGHT NOW and CAN’T GET ENOUGH OF YOUR LOVE, as well as high-octane re-workings of pop standards “MUSTANG SALLY” and “DON’T STOP ME NOW”, featuring both Clarkson and James May on drums and rock-solid Richard Hammond on the bass. AMAZING…! 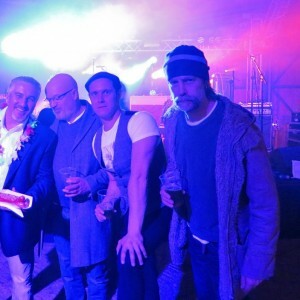 In april 2012, ROCKAOKE were the headline act at the birthday party of Pink Floyd guitarist DAVID GILMOUR’s wife POLLY SAMSON. Again, no photos – sorry! A star-studded array of guests (including Ringo Starr…!!!) 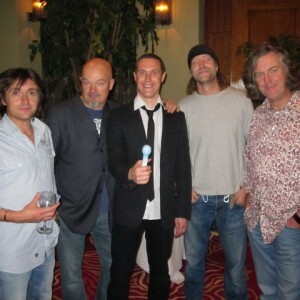 watched David’s band open the show playing songs from his “On An Island” album plus a few Pink Floyd oldies, before ROCKAOKE took to the stage giving the Gilmour family and guests the opportunity to steal the show…! 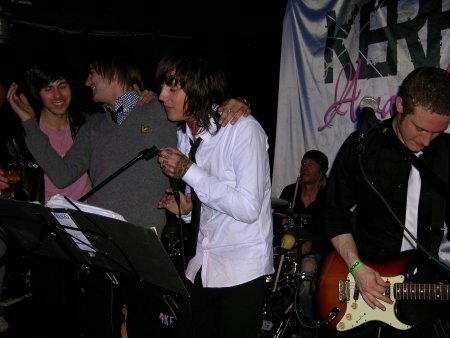 This followed on from a stellar 2011 during which the band rocked the Mercedes Brawn Xmas party, persuading Michael Schumacher to close the night alongside Nico Rosberg and Ross Brawn belting out an epic Bohemian Rhapsody. 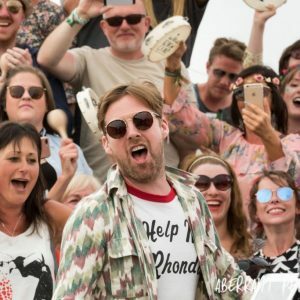 There was also Denise Welch’s Ice Fantasy Ball, The Pride of Britain Awards after show, and two nights as the official VIP rockers at the Foo Fighters gigs at Milton Keynes Bowl. 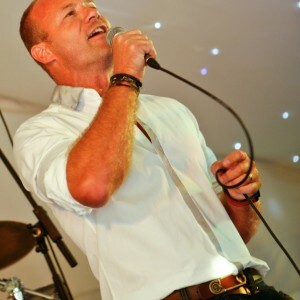 ROCKAOKE were the main attraction at Newcastle and England legend Alan Shearer’s 40th birthday, BBC Radio 6 presenter Shaun Keaveny’s 40th birthday, and at the weddings of INBETWEENERS star Simon Bird and ex-Hollyoaks actor Matt Littler. 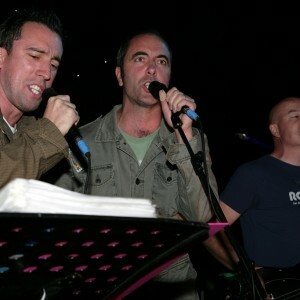 Celebrity ROCKAOKE @ MOHO LIVE, Manchester (featuring soap stars from CORONATION STREET, HOLLYOAKS and EMMERDALE). Some of our favourite photos from celebrity/hi-pofile events. Rockaoke is a night out like no other. 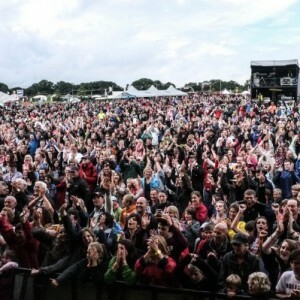 It’s not just people singing with a band, they make it feel like a festival, with headline acts and old favourites. Not in a crappy backing track Karaoke way, but with a full band, on a stage, with lights and guitar solos! For one night, we were all rockstars! 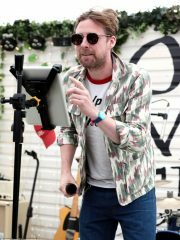 One friend came to me after his stint on stage and told me he felt like the coolest man on the planet, and many others have since told us that it was the most fun they’ve ever had at a wedding.